In good spirits we left the hectic traffic of the Iraqi city of Sulaymaniyah behind us, and drove over the dry plains, on the way to the border with Iran. Between the Kurdish part of Iraq and Iran, are two border crossings that are open to foreigners; the border at Haji Omaran and the border at Penjwin. However, the border crossing at Haji Omaran is more than 1800 meters above sea level, and to avoid possible delays due to snowfall, we chose for the southern (and lower) border at Penjwin. 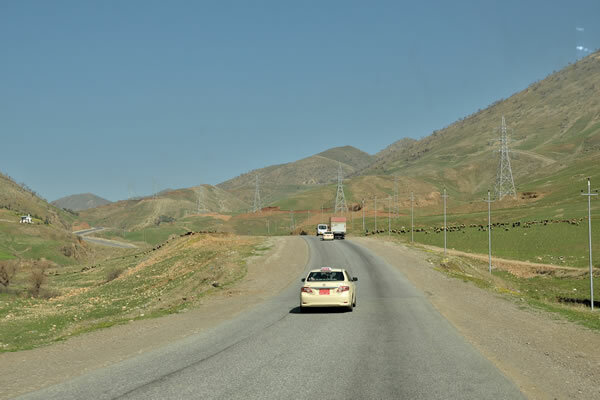 The journey of about 100 kilometres from Sulaymaniyah to the border led initially over the relatively flat plains, but the last 30 kilometres were pretty steep. At about 1200 meters altitude is the village Penjwin, and a few kilometres past this border town is the border crossing with Iran. We had a few weeks earlier sent an email to the Iranian Automobile Club to ask whether this border crossing, is open for foreigners who travel with a private vehicle with foreign license plates. We just wanted to be sure. We have a Carnet de Passage (sort of internationally recognized passport for the car), which is also recognized by Iran. So, the answer was as expectedly positive. 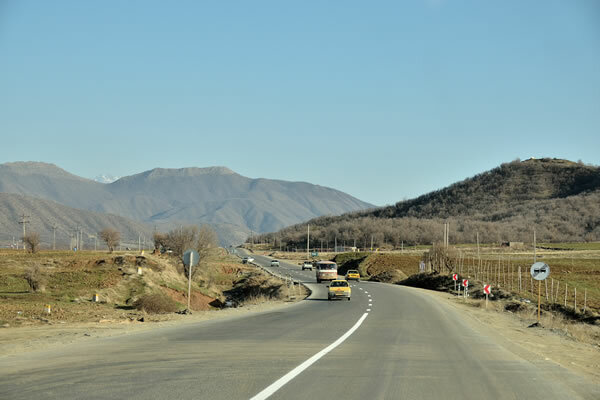 The Iranian Automobile Association wrote that the border at Penjwin is an 'allowed' (permissible) border. The border post on the Iraqi side is a bit chaotic and unclear. Normally, border crossings are strictly regulated processes through which you will be guided without giving you the opportunity to deviate from the process. But here it is quite different. The border post on the Iraqi side is actually a great site with lots of buildings and offices where you have to find your way around. 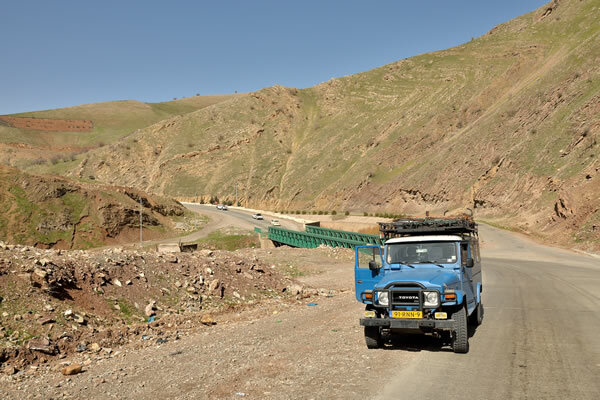 We drove initially a little too far, so we were almost at the Iranian border post without even being stopped by someone. However, an official at the last gate pointed us back. After asking at several places, we eventually found the immigration office where they ‘stamped’ us out of Iraq. They also scanned our Iraqi car papers, which we got at the Turkish-Iraqi border when we entered the country. So, that went well and fifteen minutes later we jumped back into our jeep again to drive to the gate to leave Iraq. But it soon became clear that we were not ready yet. We had to go to the 'salon' counter, a counter that travellers with a car should visit to get a clearance for their vehicle. However, it was lunch time, so forty-five minutes later, after the small windows opened again, we queued a chaotic line of people. A number of English speaking Iranians, who were also waiting for the necessary clearance, asked us to come forward and helped us with the procedure. Our Iraqi car papers were taken and the officer asked us if we were sure to have the right papers to enter Iran. "Yes, we have" is what we replied resolutely. We were given a piece of paper which eventually turned out to be the necessary paper to leave Iraq. 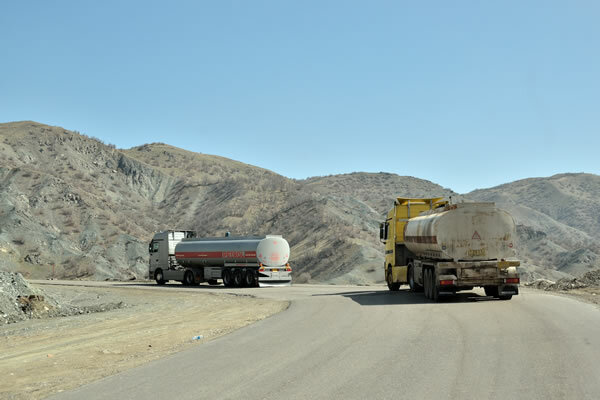 We passed the gate, where we were sent back twice already, and drove around the waiting trucks to the Iranian border post, a few hundred meters away. We were warmly welcomed by the Iranian border guards and the immigration officials stamped our passports before we even realized it. "Welcome to Iran" is what they said to us. We made clear that we are traveling by car, so the immigration officer directed us to a small office where we were also received friendly. 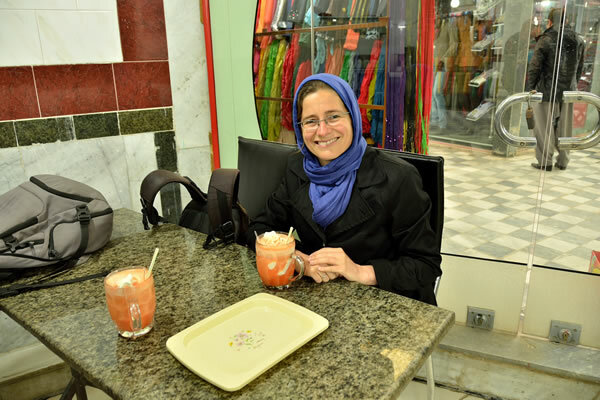 When we told them that we are from the Netherlands, an Iranian officer got a beatific smile on his face and said on a divine tone: 'flowers'. Our passports, vehicle documents and the Carnet de Passage (car passport) were taken and several men began walking from office to office. After fifteen minutes, we were asked to the phone in one of the offices. An English-speaking Iranian man was on the line. The man was short of fabric: "you can not pass through this border crossing by car". 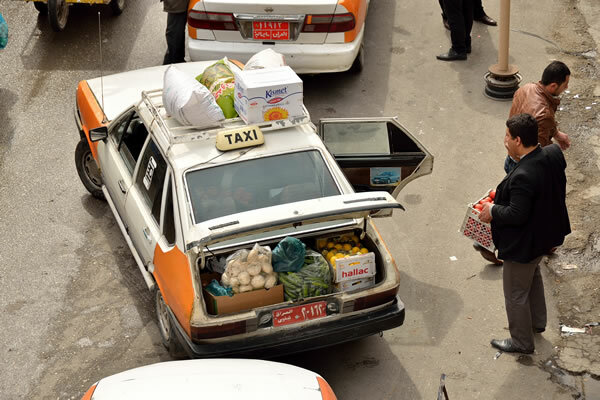 He continued: "There is no agreement between Iraq and Iran for the temporary import of foreign licensed cars, and that means that you cannot take your car into Iran at this crossing." The fact that we have a Carnet de Passage, does not change the situation, he said. We ‘just’ have to drive back to Turkey from Iraq, and then enter Iran at the border crossing at Bazargan (the Turkish-Iranian border crossing 1,200 kilometers away). Our conclusion was simple and horrifying: we are stuck between two border posts! In fact, it’s even worse because we have also lost our Iranian visa, because they already stamped us in the country. Only our jeep was not in yet! Furthermore, it was questionable whether we are accepted back in Iraq, because we had a lot of issues at the Turkish-Iraqi border when we got in, because we wanted to take our car out of Iraq at another border crossing than we entered the country. That same problem would definitely apply here again. Stress levels rose significantly. But we still had hope. We had informed in advance at the Iranian Automobile Association if we can cross at this specific border. And the answer was yes, you can. We showed the email to the custom officers, but the name of the person at the Iranian Automobile Association who answered our email didn’t ring a bell. We had no phone number of the person so the custom officers suggested: "send him an email again and ask his phone number so we can contact him". But that was not an option, since there was no wireless internet available nor an internet connection we could use. They also came up with the ‘bright’ idea to transport our jeep on an Iranian truck to Bazargan (on the Turkish-Iran border) and to clear the car there. Maybe they thought we have the same budget as Bill Gates! Our strategy was to keep sitting there and to look depressed with our Carnet de Passage and other papers in hand. Ivonne thought of a smart travel wisdom, often used by female travellers in case of problems: “leave a tear rolling, and new doors will open”. It worked! The customs staff fell a little bit uncomfortable and decided to phone the big boss again. The staff was still extremely friendly, but had no decision power at all. Copies were made of all our documents, and one of the officers left for the office of the boss, in a last attempt to get permission. To comfort us, tea and biscuits were served. Twenty minutes later, the officer returned with the redeeming words; he said in broken English: "it will be ok". The Carnet de Passage was again taken and they started an effort to fill in the document properly. They didn’t exactly know how to do it, but we were glad that they started to put stamps on the carnet. We even got the phone number of one of the custom officers, for in case of problems on the way out. They advised us to leave the country through the border post at Bazargan (with Turkey) because that crossing is the most common border post for cars. We will take that advice to heart of course. "You can go to Iran now", it was said after they finished all the papers, and we were waved warmly when we left. 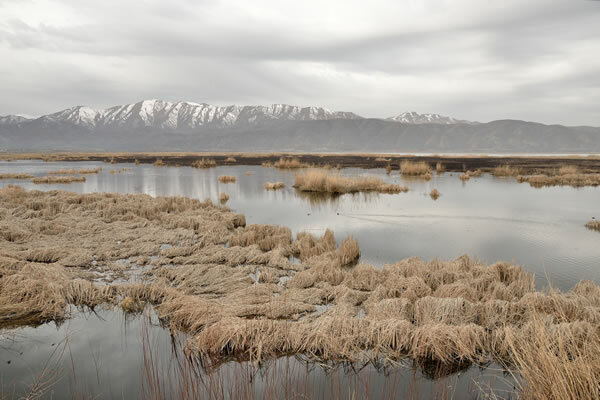 Tired of the stress we drove the remaining 17 kilometers to Marivan, situated on the beautiful Lake Zarivar. The conclusion was clear: the journey from Turkey to Iran, through northern Iraq is for travellers with a vehicle still an uncertain matter. You need a healthy dose of luck, and a lot of goodwill from the officers at the various border crossings, to be successful taking your vehicle. We managed to do so, but we certainly do not try it again!